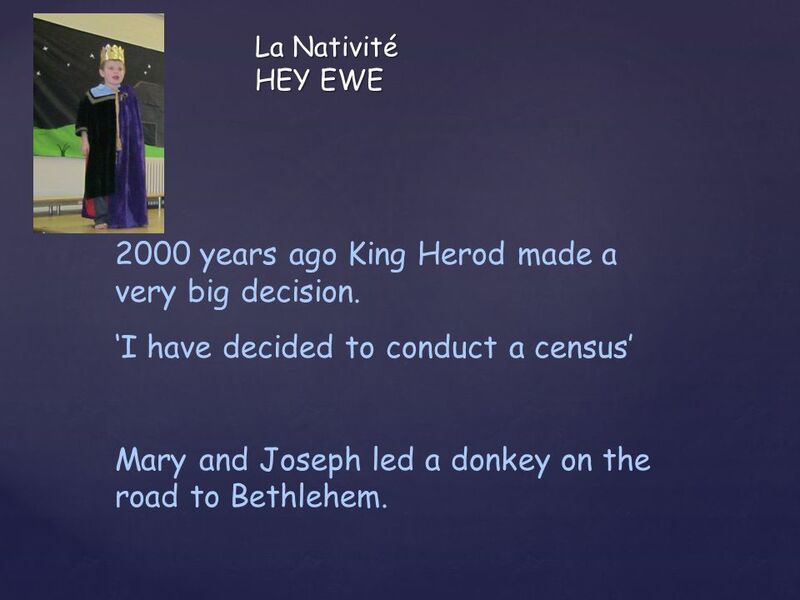 La Nativité HEY EWE 2000 years ago King Herod made a very big decision. 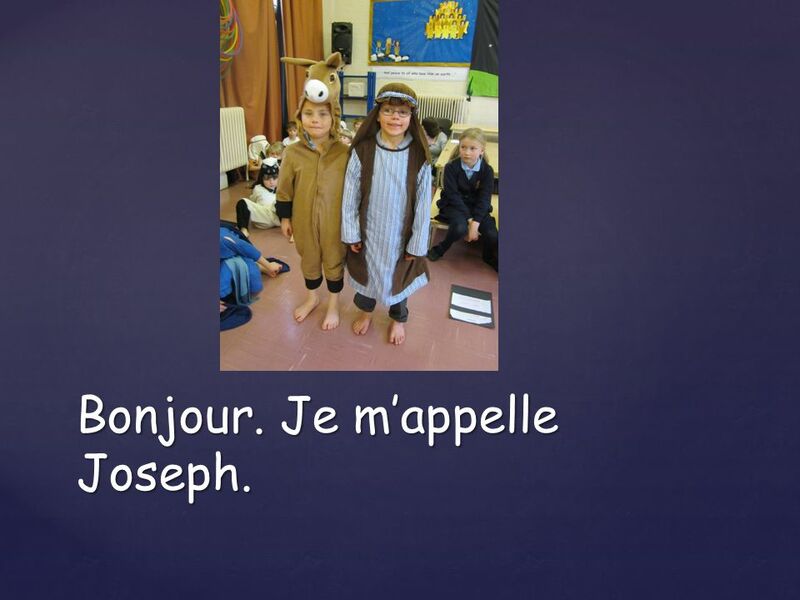 ‘I have decided to conduct a census’ Mary and Joseph led a donkey on the road to. 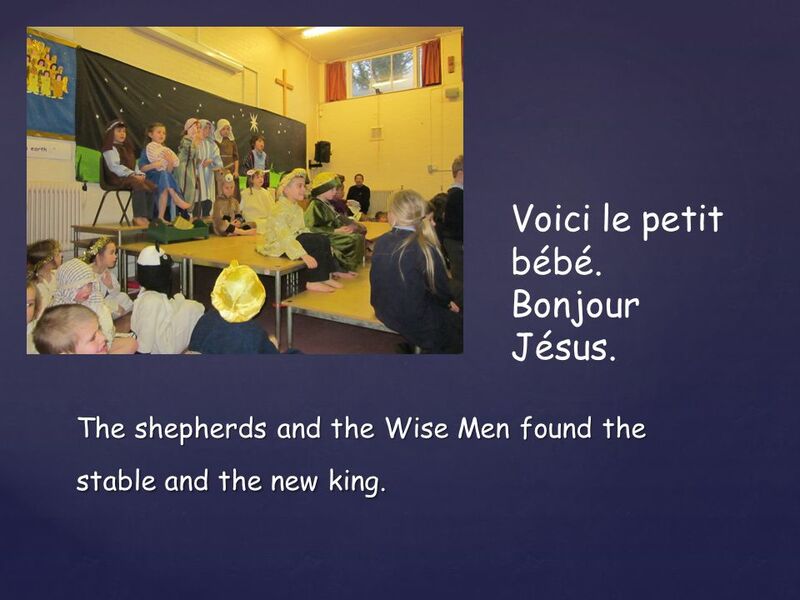 1 La Nativité HEY EWE 2000 years ago King Herod made a very big decision. 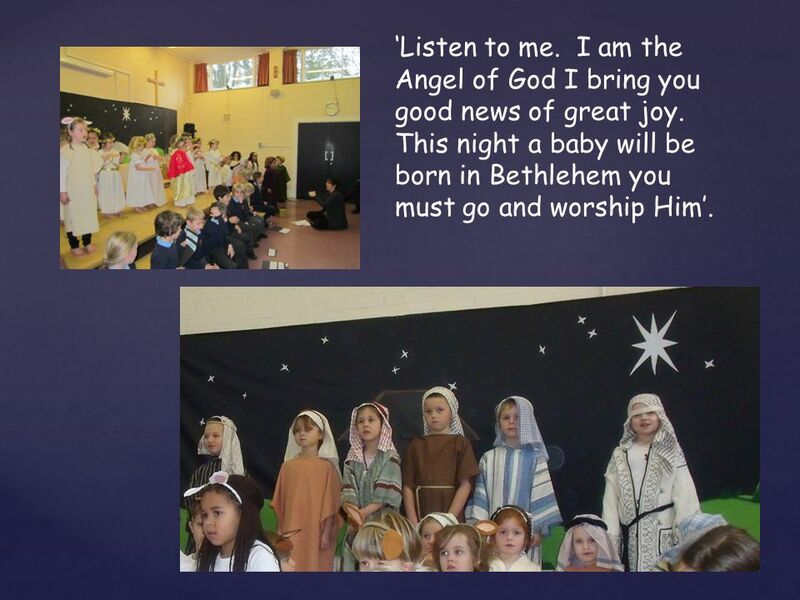 ‘I have decided to conduct a census’ Mary and Joseph led a donkey on the road to Bethlehem. 2 Bonjour. Je m’appelle Joseph. 3 Bonjour. 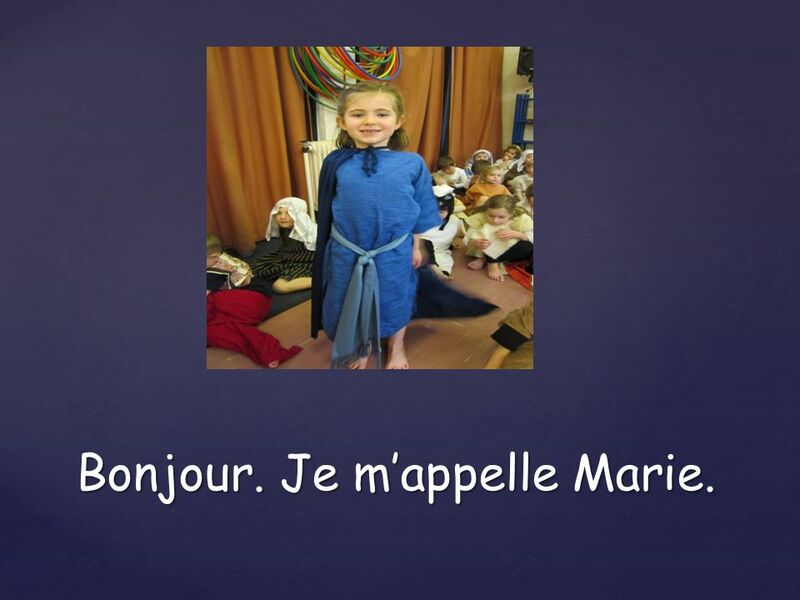 Je m’appelle Marie. 4 Non, non, non. 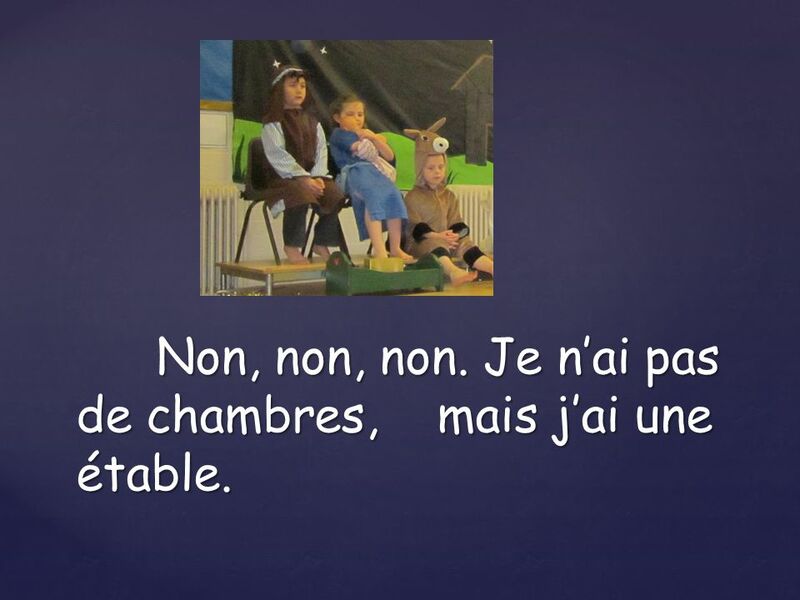 Je n’ai pas de chambres, mais j’ai une étable. 6 On a hillside, just outside Bethlehem, were some Shepherds looking after their sheep. 7 ‘Listen to me. I am the Angel of God I bring you good news of great joy. This night a baby will be born in Bethlehem you must go and worship Him’. 8 Suivre l'étoile! Regardez le ciel ! 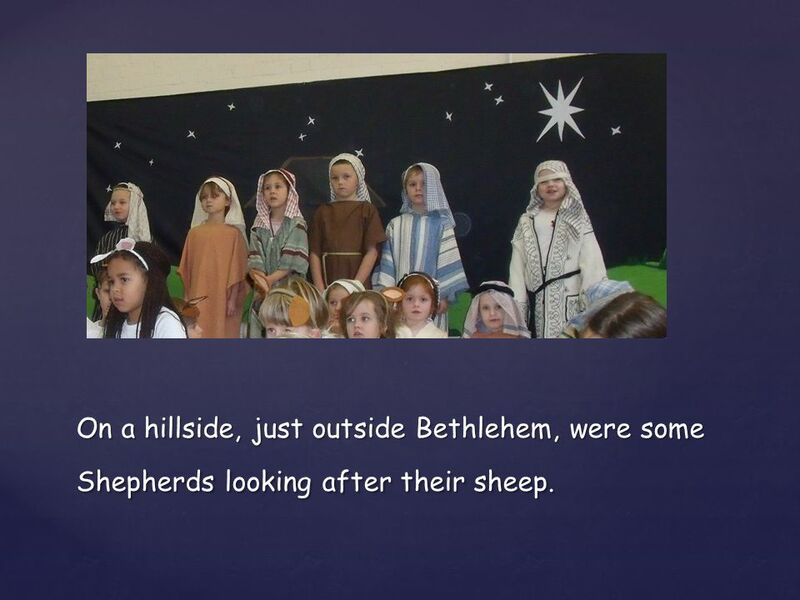 9 The shepherds and the Wise Men found the stable and the new king. Voici le petit bébé. Bonjour Jésus. 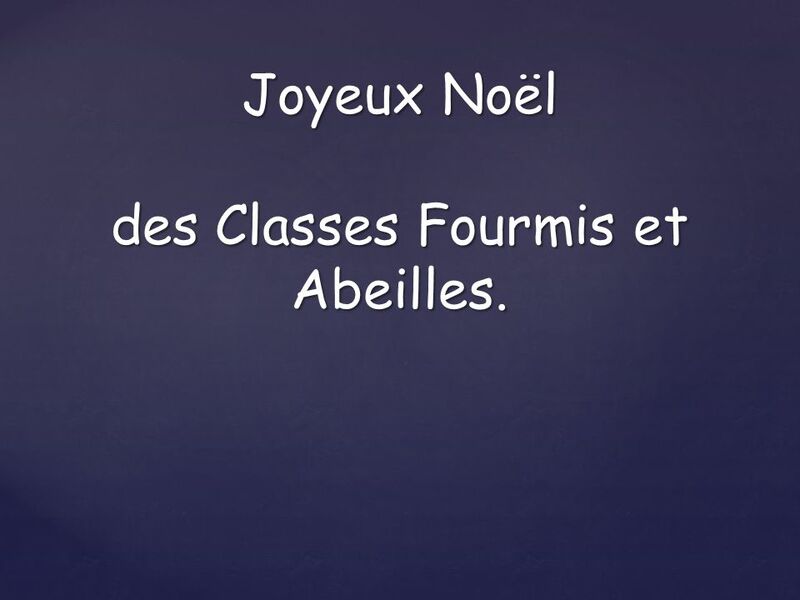 10 Joyeux Noël des Classes Fourmis et Abeilles. 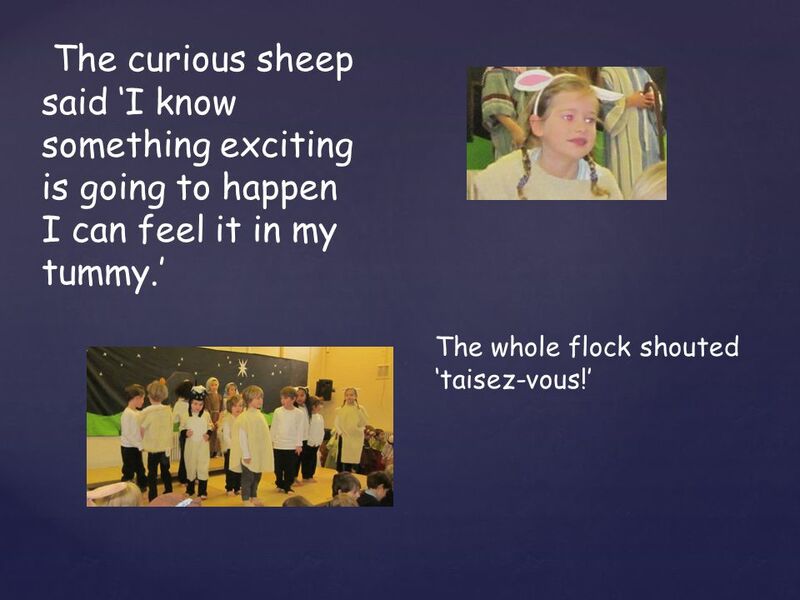 Download ppt "La Nativité HEY EWE 2000 years ago King Herod made a very big decision. 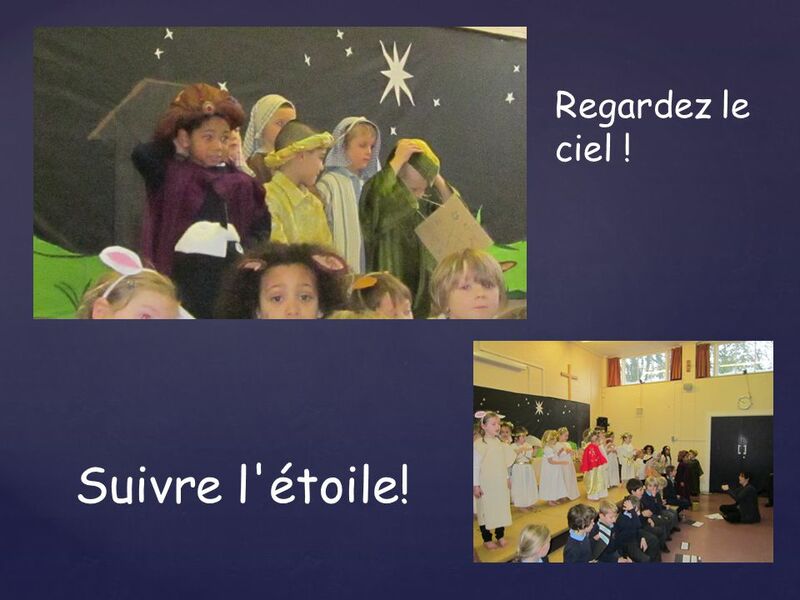 ‘I have decided to conduct a census’ Mary and Joseph led a donkey on the road to." 12 Points of Light. The City of Bethlehem I am grateful for all the gifts from God, which provide a wonderful life for me. The Nativity Made by Tyler. Mary and Joseph are meeting. But they saw angel called angel Gabriel. Angel Gabriel said “ you will have a baby boy!” Mary. The Nativity By Anastasia. One night an angel came with the exciting news that Mary would give birth to a wonderful baby boy and must name him Jesus. Jesus is born in Bethlehem. Mary & her spouse, Joseph, went to Bethlehem to register because his family came from that town. Gabriel told Mary she was going to have a baby… and call him… JESUS. Angels in the Outfield. 1.1. 1.1. It was a message of Peace.